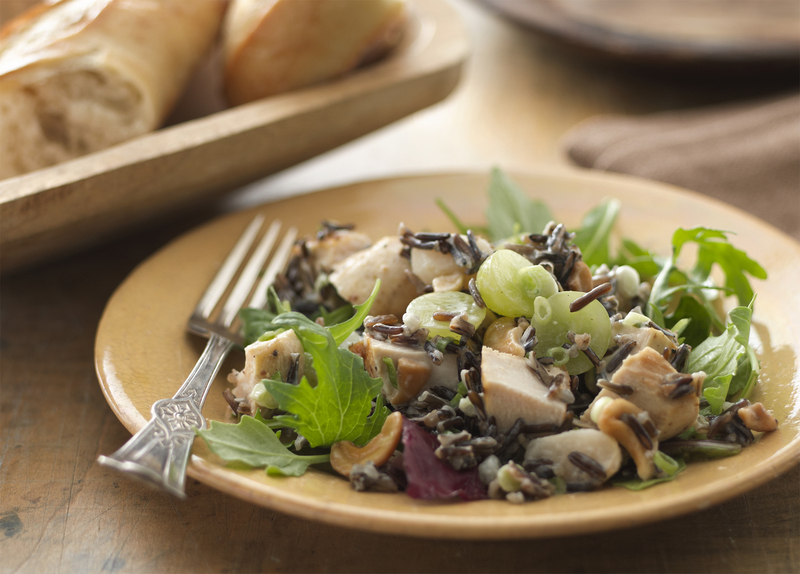 This recipe is courtesy of the Minnesota Cultivated Wild Rice Council. In large bowl, toss salad ingredients, except grapes and cashews. Add dressing; toss. Just before serving, fold in grapes and cashews.